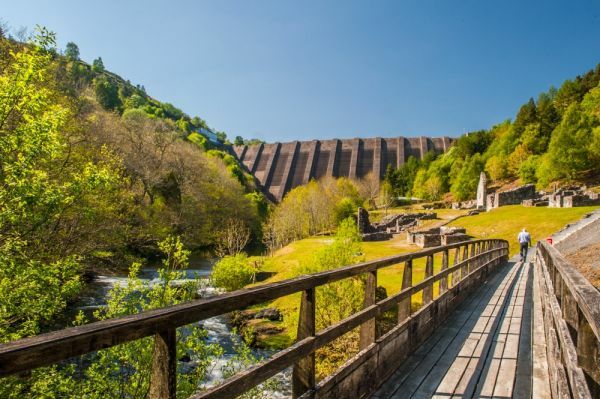 Bryntail is a fascinating industrial heritage site at the southern end of the Llyn Clywedog Reservoir, just below the reservoir dam. 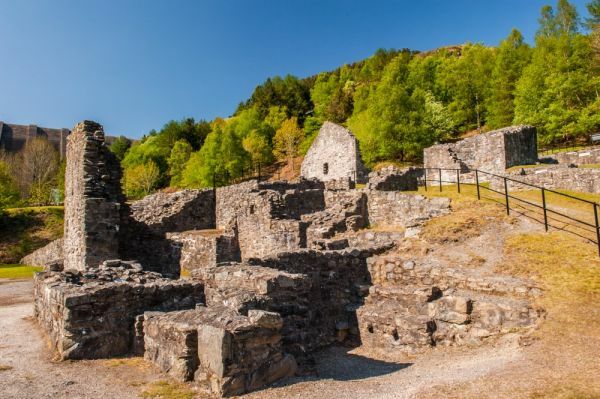 Bryntail mine extracted lead ore during the 19th century, when the Llanidloes area was a thriving lead smelting region. The Bryntail mine worked the western end of the Van Lode, a seam of barytes and galena extending from Llanidloes towards Aberystwyth. There were three shafts, named the Gundy, Western, and Murray shafts. Of these, the best surviving is Gundy's Shaft, and most of the restored mine buildings are related to this shaft. 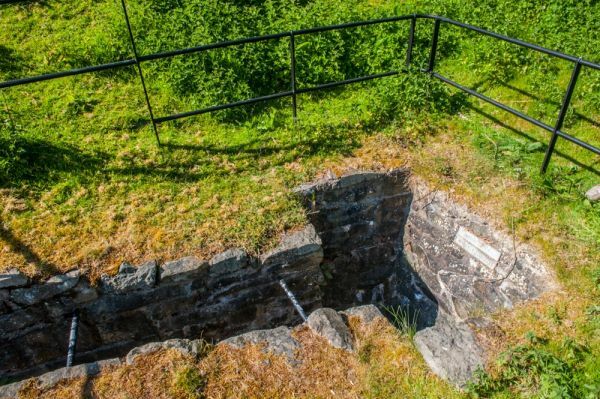 Western Shaft lies beneath what is now Llyn Clywedog reservoir, built to control flooding on the upper Severn. Murray's Shaft was simply swallowed up by the undergrowth. The site opened in 1708 and continued in operation until 1788. 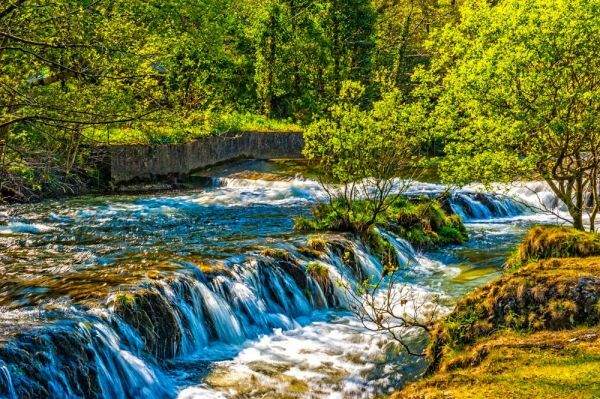 Lead ore was extracted at Bryntail and shipped into Llanidloes where it was loaded onto small boats and carried down the River Severn to the sea. 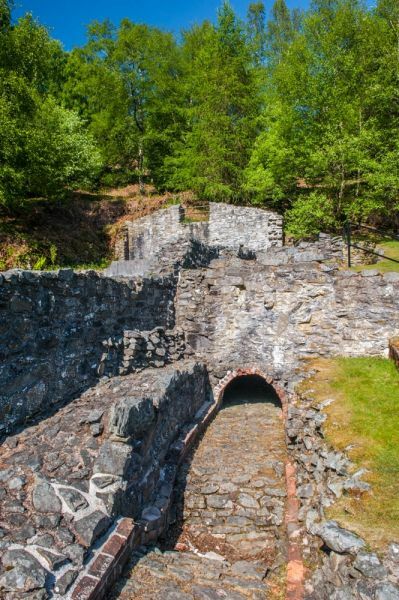 Mining stopped in 1788 but the mine workings continued to be used for almost a century after ore was discovered at nearby Y Fan. 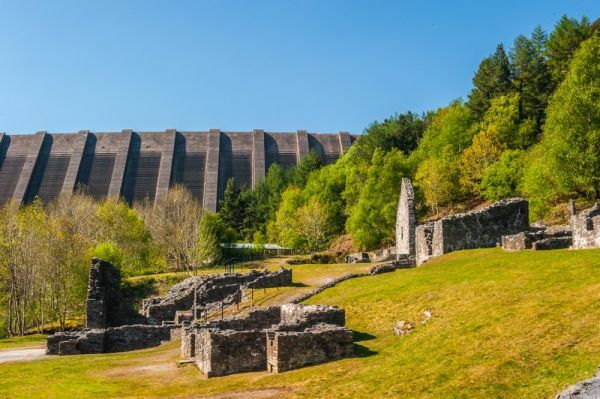 The discovery led to a boom in mining activity, and for the decade between 1870 and 1880 the Llanidloes area produced more lead ore than the rest of the world put together. The boom did not last, and by 1884 Bryntail closed down. The mine buildings quickly fell into decay. 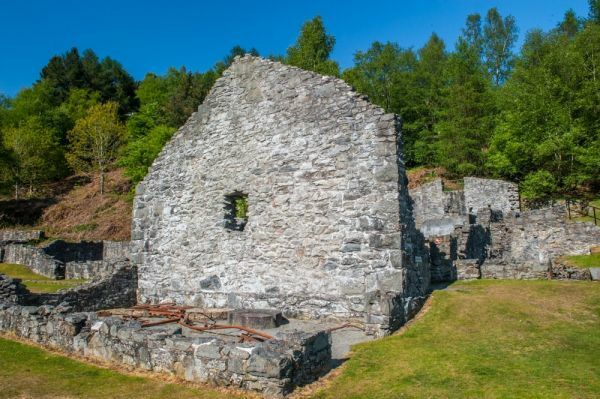 There are crushing houses, ore bins, water tanks, roasting ovens, and a barytes mill on the site, as well as administrative buildings such as the mine manager's office, storage buildings, and a smithy. 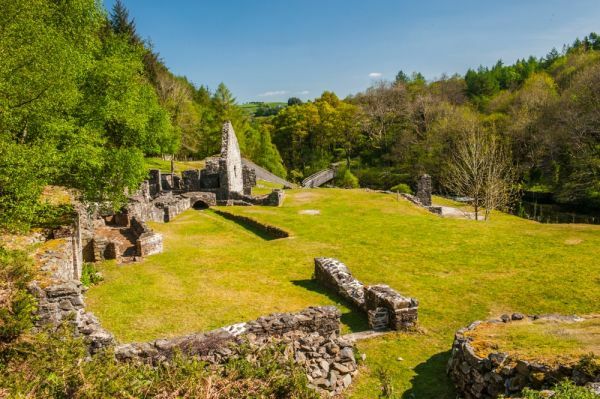 Bryntail is in the care of Cadw, and the site is currently open to visitors at any reasonable hour. 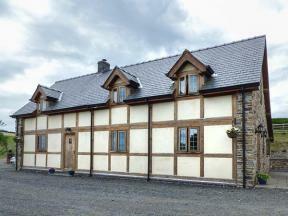 The mine stands very close to the Glyndwr Way long distance footpath. The site is signposted off the B4518 west of Llanidloes and is very easy to find. A footbridge leads across a rushing stream to the mine site. What is really amazing about Bryntail is just how close the mine is to the reservoir dam, which seems to loom over the site. You can wander amid the ruined mine buildings and there are good information plaques to help you figure out what each part of the site was used for. 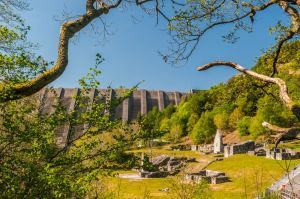 I quite enjoyed exploring Bryntail; the location below the dam is unforgettable, and it was rather poignant to explore a deserted site that was once the hub of the busiest lead ore mining area in the world. This detached cabin is set amongst peace and tranquillity a short drive from the town of Llanidloes and sleeps two people in one bedroom.